One of our PhD students Esma Mansouri Benssassi and her supervisor Dr Erica Ye defined a requirement for a wrist worn device to group a number of Haptic feedback elements for an experiment they wished to carry out. 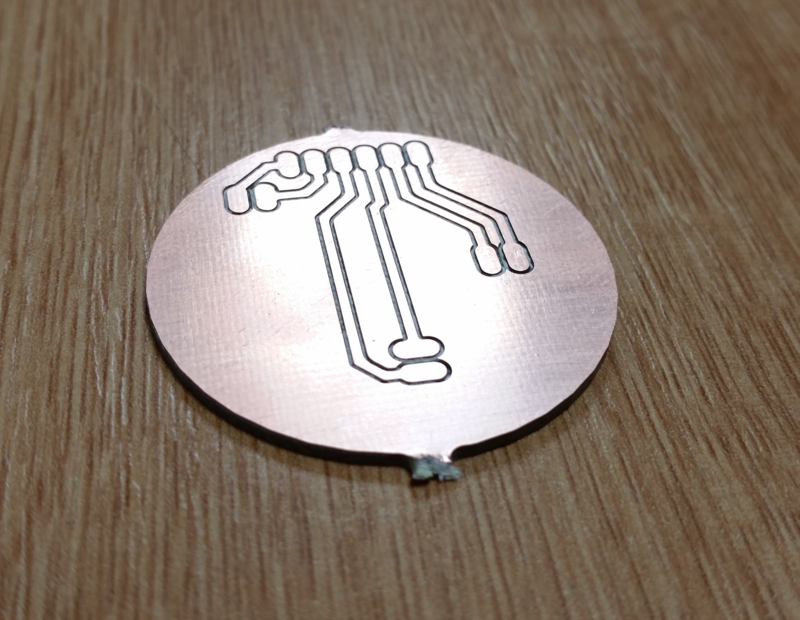 The on-board Haptic elements are two eccentric rotating mass micro motors and an linear resonant actuator. 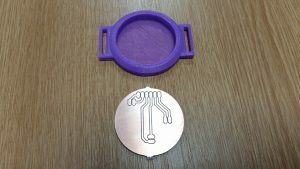 Initial circuit schematics and printed circuit board designs were created in an Open Source Electronics Design Automation Suite KiCAD EDA. 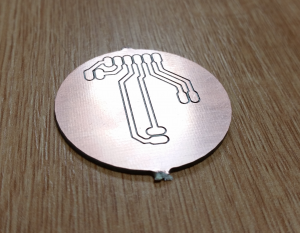 The resulting printed circuit board (PCB) design was made on the CS CNC Router , this produces the PCB by engraving the copper clad fibreglass-epoxy board with a Vee cutter. 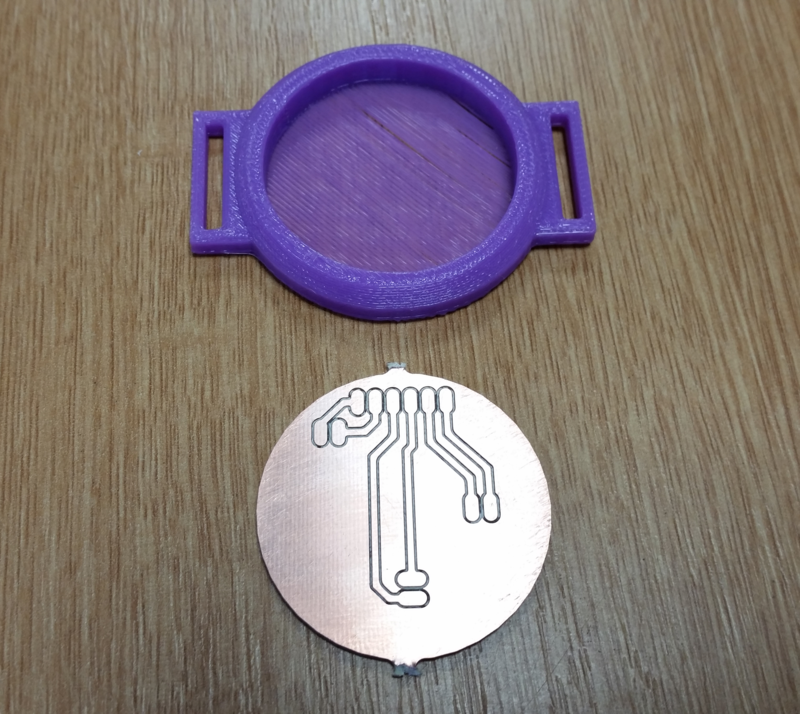 The case for the PCB was created in Autodesk Inventor and was 3D printed using the CS Makerbot 2X 3D printer. 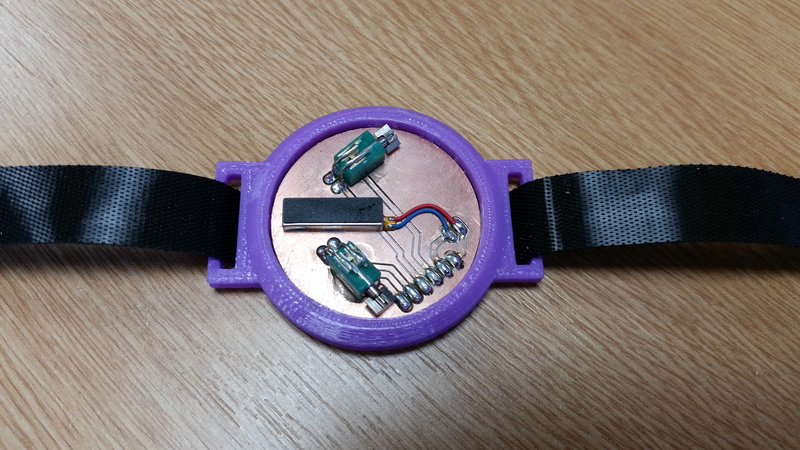 The wrist worn Haptic feedback device will be connected via an umbilical cable to the main control Feather M0 embedded ARM and Haptic Driver breadboard. 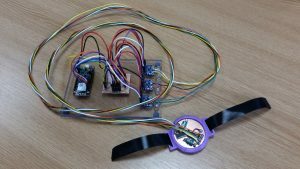 This is an ARM microcontroller and wifi module which can be programmed using the Arduino IDE. Code for the ARM processor will enable stored and custom waveforms to be played on the haptic devices on the wrist.